For those in the know, October is the month the fishing moves up to the next level. 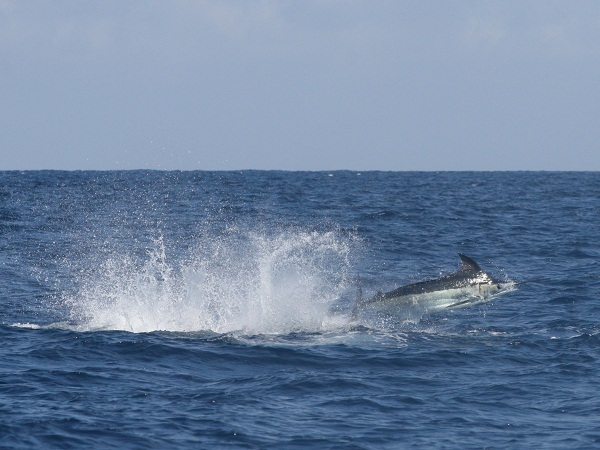 We´re known here in Puerto Vallarta for our rare Black Marlin which are always sizeable and abundant. Yellowfin Tuna, you bet and their Monsters in the 300 lb range. 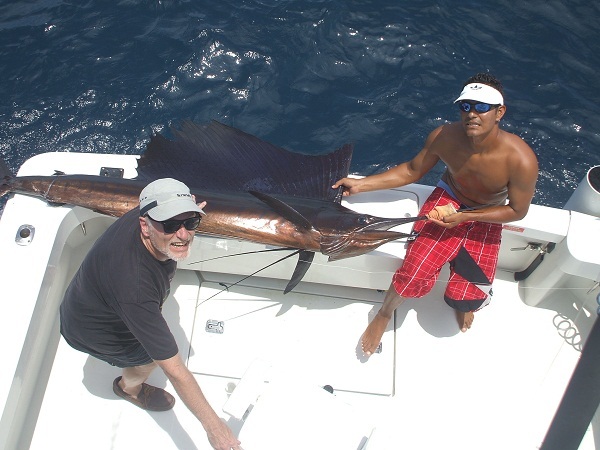 But October marks the arrival of Sailfish in numbers that are hard to believe as they invade all the fishing grounds Puerto Vallarta has to offer. With abundant bait there is no reason for our seasonal friends to look elsewhere for the easy life. The trash line that will disappear at the end of the month, which is just chocked full of stuff Sailfish treats. The trash line is a sediment washed down from the local mountains that contain seeds, leaves, roots, berries, you name it. Just like McDonalds to people, it´s fast, easy and they´ll always find reliable and consistant delicacies to feast on. So finding Sailfish is easy, just get on the water, you´ll find the trash line! Not only Sailfish, Dorado set up house in the whole area as well. Basically they´re everywhere, the farther out, the larger they will be. Ranging from smaller Dorado of 25 lbs in the bay, Corbeteña and El Banco will have Dorado at 60 lbs or larger. Anywhere from inside the bay to the deep water locations right now are firing on all cylinders amigos. Just cast a shiny bait, doesn’t matter what actually, you´ll catch fish. You can imagine why at this time of the year magazines, television programs and fanatics arrive. They know the days are warm, the water is blue and the fishing is as hot as it´s going to get in PV. For the fishing enthusiast, You´ll never find a better time to fish Vallarta, I´ve guaranteed it here in writing!